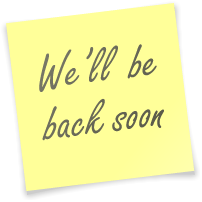 We are temporarily unavailable due to scheduled maintenance. We apologize for the inconvenience. Please check back with us shortly. Thank you for your patience.